I'm Interested in Saving Money! 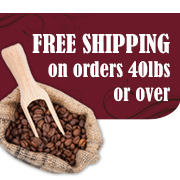 I would like to receive special internet offers on fresh-roasted specialty coffee. For immediate assistance during our normal business hours of Monday thru Friday, 8:30 AM to 5:00 PM, please contact us directly at 800.652.5282.